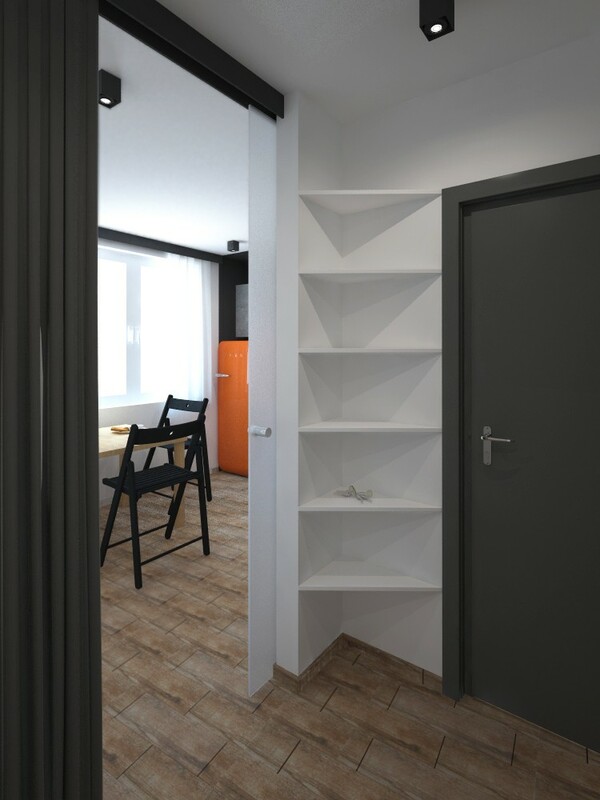 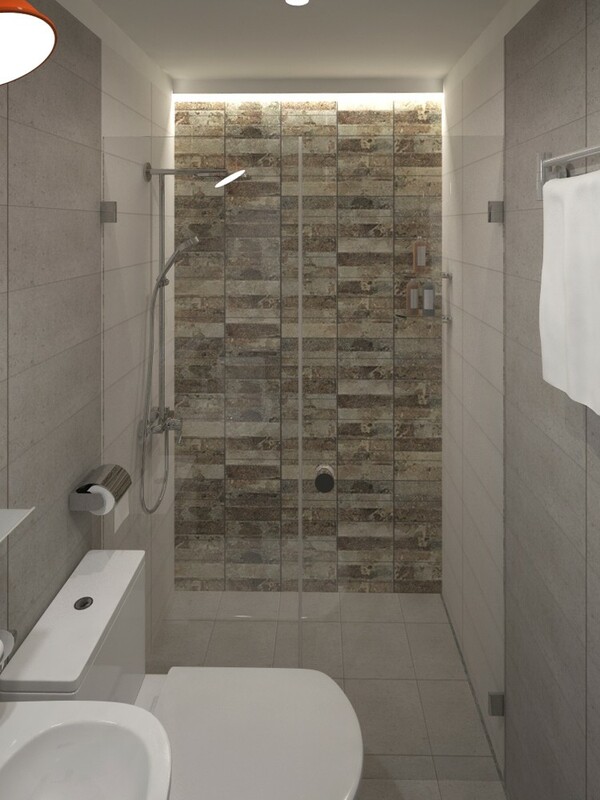 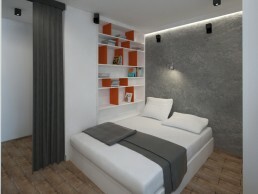 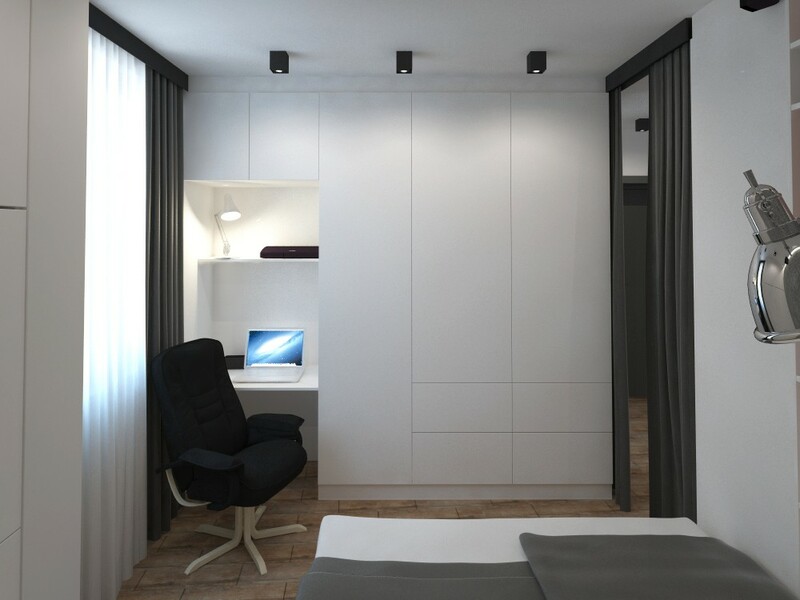 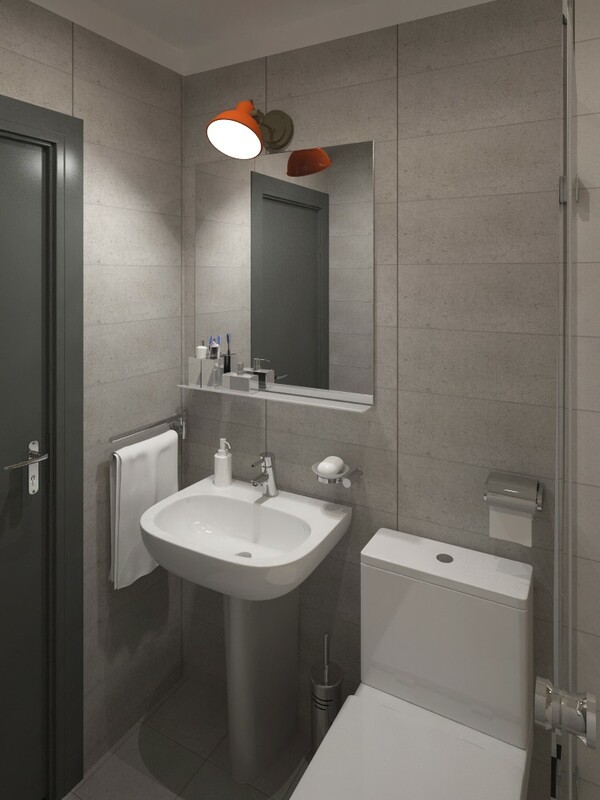 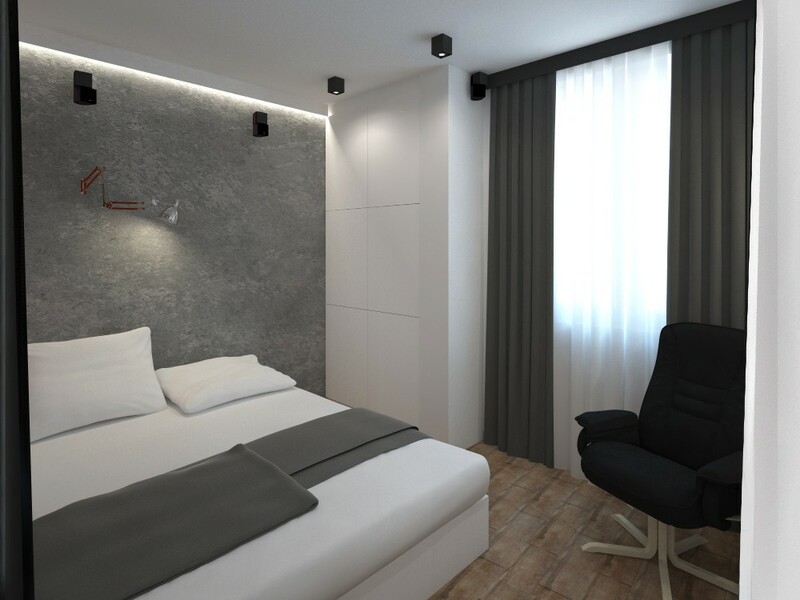 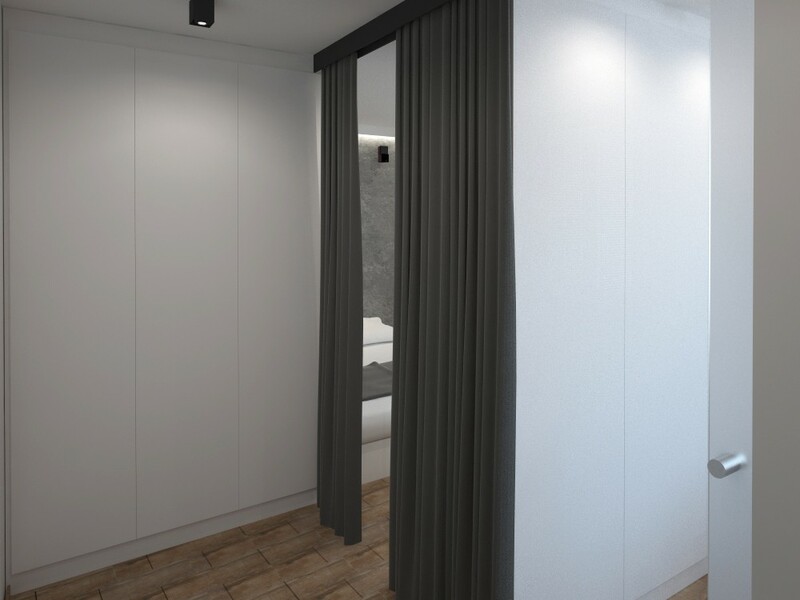 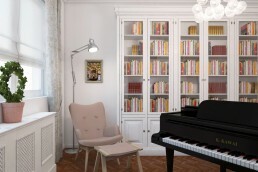 This is a Project for 30 m2 appartment in the old capital of Bulgaria – the City of Veliko Tarnovo. 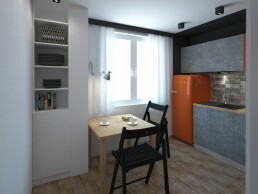 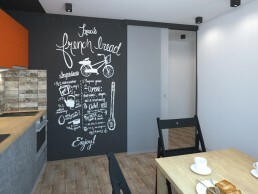 The small area required smart solutions for decent and comfortable storage, living, cooking and dining spaces. 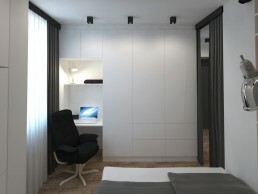 Dividing the area into two rooms was a must. 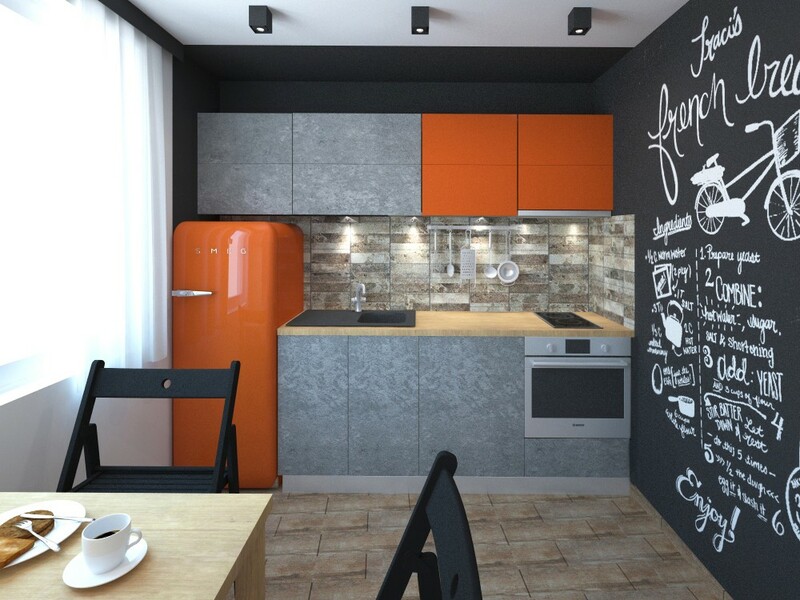 Hot bursts of colour sprinkle the tidy achromatic and natural ambience.